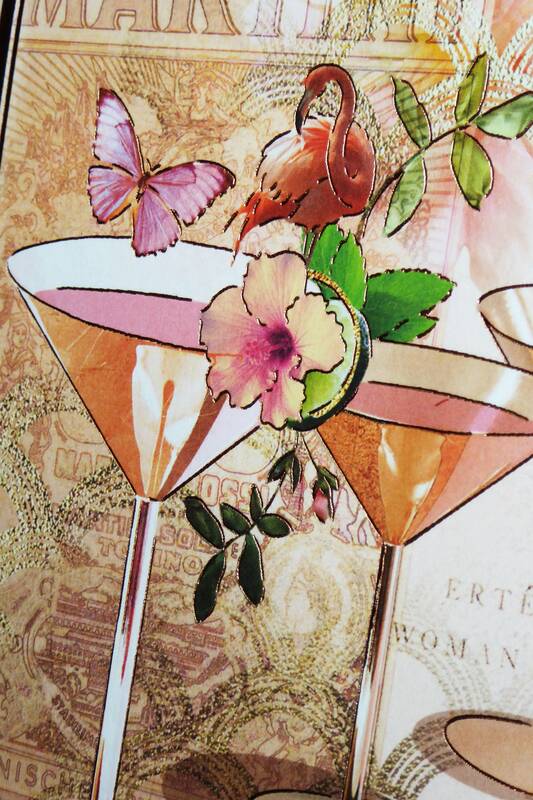 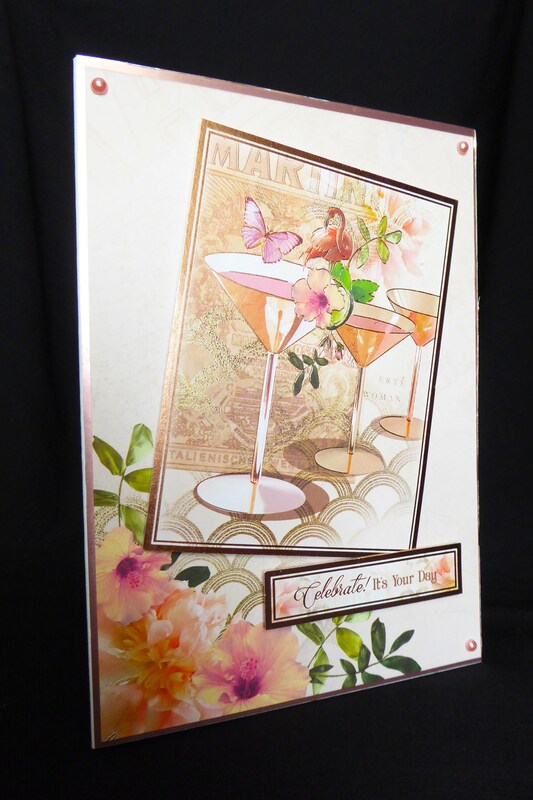 A beautiful anniversary, wedding card, cocktail glasses. 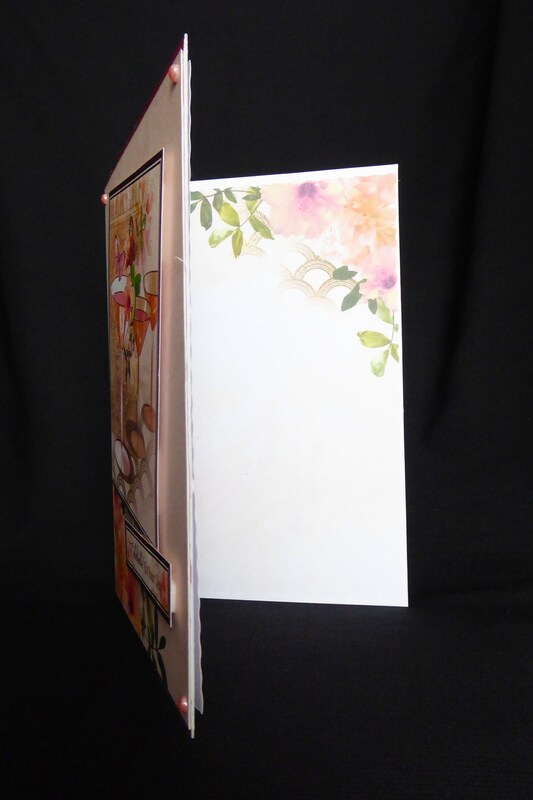 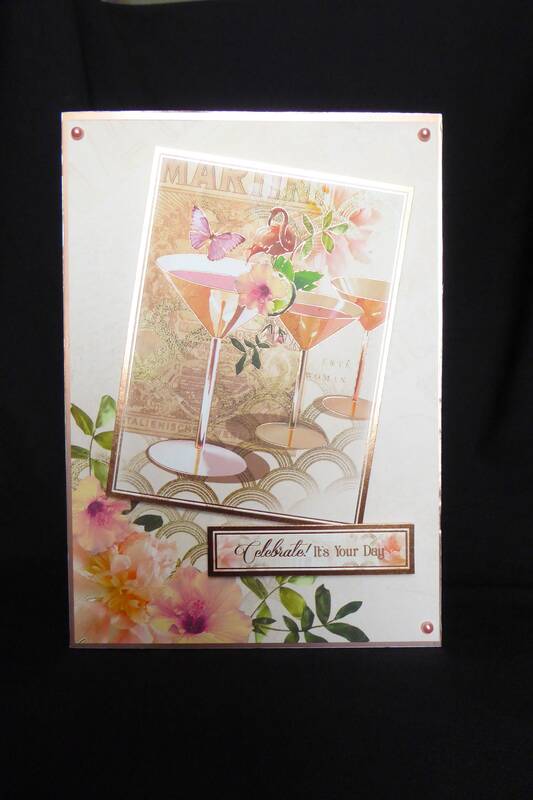 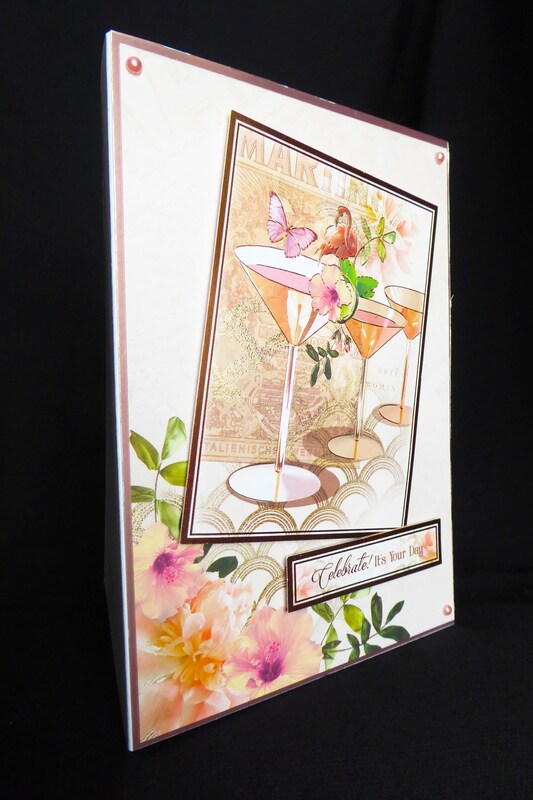 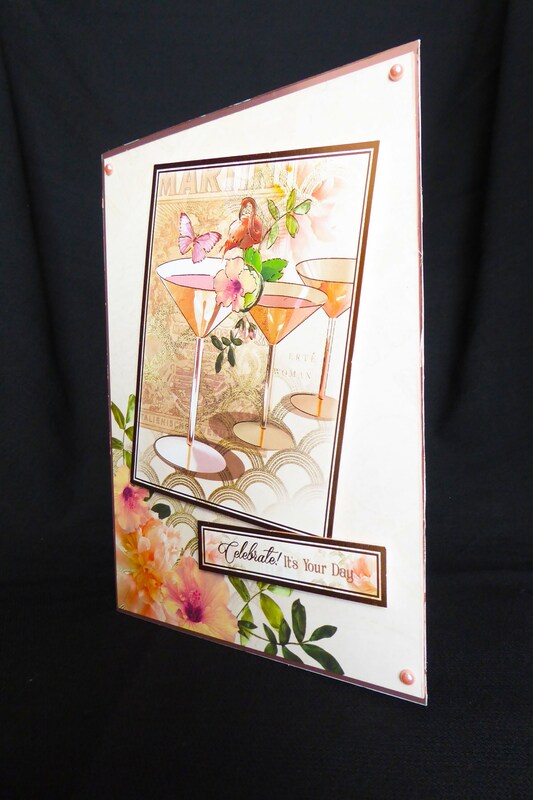 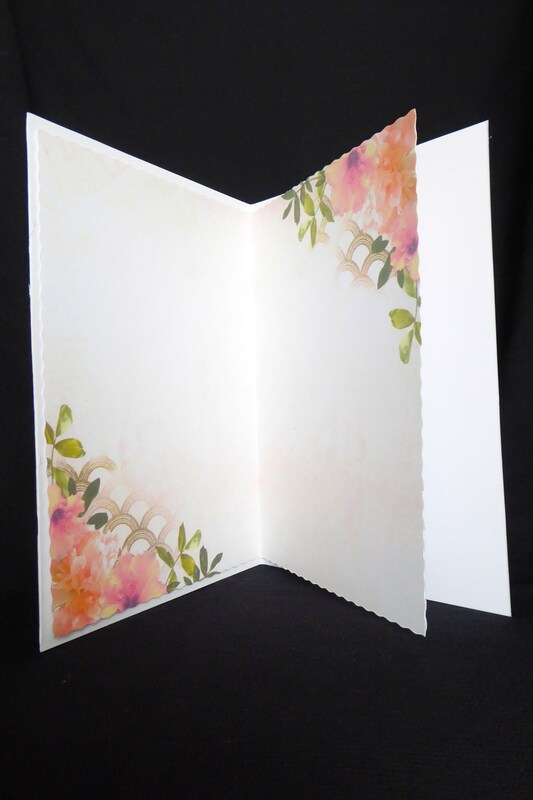 A handmade card with several layers, pink pearl embellishments. 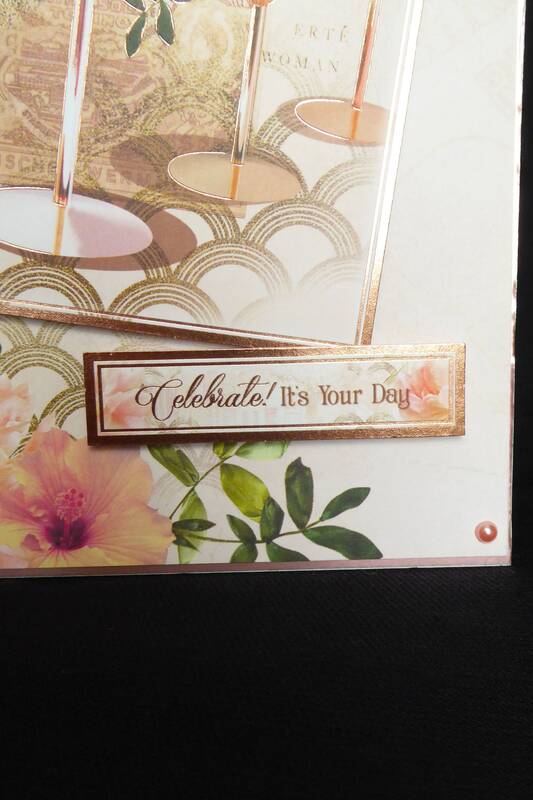 A sentiment at the bottom of the card, which says,' Celebrate! 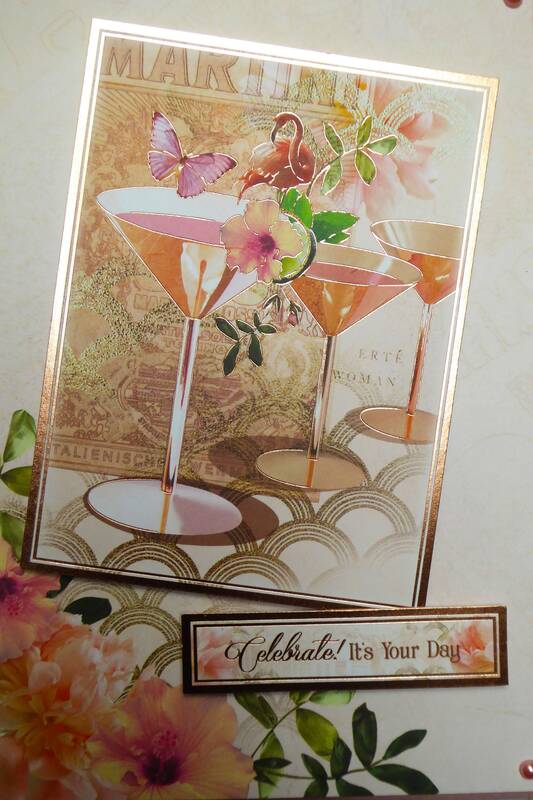 It's Your Day'.